A family in faith, reaching out to share God's love with all people. 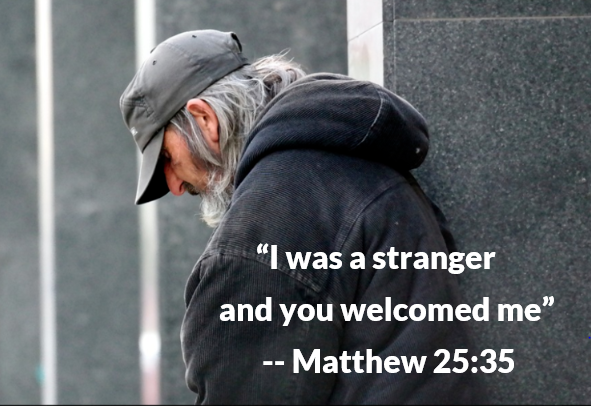 Jesus’ story challenges us to see his face in those around us, especially those in need, and then to act with mercy and compassion. SHARE: What was a high point of your day? What was a low point? Go to clergystuff.com/daily-devotions for devotions on the daily readings. How would Jesus be received if he walked on the earth today? In what ways have you betrayed Jesus? How could you make a change so that Jesus is first in your life? For the littles: Would you rather feed a hungry person or visit someone who’s sick? Why? Jesus loves when we do either one, or both! PRAY: O Lord, you long for your people to care for one another with the same compassion you show to them. Move our hearts in love wherever we encounter need and make us more like you with each day. We pray this in the name of Jesus. Amen. BLESS: May God bring out the best in you. Amen.